X-Men vs. the real world: What do psychics look like? – AiPT! 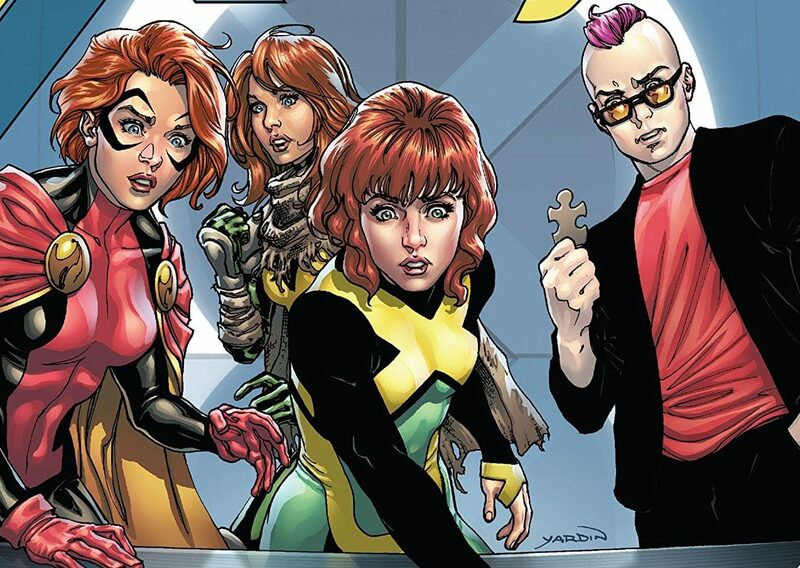 X-Men vs. the real world: What do psychics look like? Mutants rule while the supposed real deal struggle against statistics. First up, we welcome back deputy editor of Skeptical Inquirer magazine, Benjamin Radford, to break down the differences between fictional psychics and “real” ones. The Marvel Universe is full of demonstrably real and super-impressive psychics, most of them related to the X-Men. Professor X is the most powerful, able to read minds and communicate telepathically at great distances and with many different people at once. Jean Grey also has phenomenal telepathic and telekinetic abilities, including possessing other people’s minds and manipulating their senses and memories. Legion can absorb the personalities and the abilities of others via telepathy. Psylocke even creates weapons out of psychic energy. These feats of telepathy, telekinesis, hypnosis, mind-control, teleportation, and levitation are all there for the world to see. No one expects fictional characters and their powers to appear in the real world, of course, but many people believe that psychic powers are in fact real, exist today, and have been demonstrated. Stories of “true” psychics are (pardon the pun) legion: psychic detectives solving crimes and finding missing persons, psychic spies doing remote viewing for or against the Russians and others, psychics bending spoons and other small objects, and so on. Entertainment has a way of dramatizing and sensationalizing the real world. FBI agents do exist, but their real lives and careers look little like their onscreen counterparts. British spies are real, but have adventures that rarely resemble James Bond exploits, and so on. Thus it may be both silly and unfair to expect real-life psychics — assuming they exist — to resemble fictional ones. So let’s agree that Jean Grey lifting up the National Monument with the powers of her mind is a bit extreme and almost certainly an exaggeration. This is real life, and that monument is heavy, so we can’t reasonably expect real-life psychics to do that. Fair enough. How about a truck? That would be impressive, to see a full-size truck fly around in the air, controlled by a person’s thoughts. Except that doesn’t happen. Or a small car … maybe a telekinetic could do a demonstration where he or she gestures dramatically and a compact Honda levitates a few feet in the air while people watch and scientists both rule out trickery and measure the feat. But, disappointingly, that doesn’t happen either. So maybe something smaller … maybe a backpack or a jug of milk? Just make it levitate around — even a few inches off the ground, maybe scare the cat and refine the skills by psychically opening and pouring a can of beer. Except, well, that doesn’t happen either. Maybe something smaller, like a pack of cigarettes, or a set of keys! Or even a tube of Chapstick … surely at least one of the world’s amazing psychics could levitate a 0.15-ounce Chapstick under controlled conditions and without touching it. It could even be just a centimeter or two off a table; that would still be pretty impressive. But, well — yeah, you get the idea. The only circumstances under which telekinetics can do anything are poorly controlled and look a lot like magic tricks. There are thousands — maybe tens of thousands — of people who claim to have psychic powers. Some of them can be found in little storefront shops not far from where you may work or live. Some of them can be found on TV, such as James van Praagh, John Edward, Alison DuBois, Carla Baron, and others. But all of them have one thing in common: they claim to have specific, accurate information about things outside their immediate knowledge. Some say they can read minds or auras; others say they can predict future events. The biggest challenge to national security, by definition, is that there is no way to distinguish threats from non-threats, passengers from terrorists, false-positives from positives. Airport security must thoroughly screen every single passenger, from the wheelchair-bound grandmother to the harried businessman to the nose-picking toddler, because everyone must be suspect; anyone could be a potential threat. Psychics, if real, could change all that. If what they say is true — if these people have the powers they claim — why are 99.99% of innocent airline passengers subjected to invasive screening, delays, and hassles, when a psychic should be able to identify the terrorists and direct the security resources toward those people? If psychics can do what they claim, why aren’t they hired by the TSA or airport security to identify the terrorists? Why are they telling fortunes for $50 a pop in New Age shops instead of in salaried positions at security command centers, using their psychic powers to find people who have evil on their minds and explosives on their person, who want to kill hundreds of innocent Americans on Christmas Day? Even if the psychics can’t narrow it down to a specific passenger (though I see no reason why they wouldn’t be able to), even if they could accurately tell police which day (even which week or month) terrorists will attack, that would be invaluable. Security officials would know that people flying any other time don’t need to be screened, and tighter security measures would be imposed during the specified time frame. If a psychic could prove that he or she has the ability to reliably distinguish an innocent traveler from a terrorist (using ESP, tarot cards, tea leaves, or any other method), that service would literally be worth billions of dollars to the American government and its citizens. Any psychic who could actually do what they claim to do could save countless innocent lives, make history as the first validated psychic, and become a multi-millionaire in the process. So where are they? Why are all the psychics happy to tell you about your dead grandmother, your love life, and where you might find your lost watch, but can’t seem to provide any useful information on significant, real-world issues like missing persons or national security? Why aren’t psychics leading police to rescue innocent young kidnap victims within hours or days of their abductions? Why did Jaycee Dugard have to wait nearly two decades for her rescue — by suspicious neighbors, not psychics — while being subjected to continual sexual and physical abuse, if a psychic had the power to find her? Despite claims to the contrary, there is not a single documented case of a missing person being found or recovered due to psychic information. The fact that any well-known abducted or missing person you can name is either still missing or was not found by a psychic should tell you something. Precognitives could save lives by predicting natural disasters, from tsunamis to floods and earthquakes. Every time an event of national or global importance occurs in which psychic power could prove itself useful in averting or minimizing catastrophe, psychics are conspicuously silent. Why are they happy to tell your future about an upcoming romance or career change, but when it comes to genuinely important information about real things that could help real people and save lives, they have nothing to offer? I don’t think this is a snarky or unfair question; on the contrary, it is a perfectly legitimate, valid, and reasonable one to ask anyone who claims to be psychic. If psychics can see the future, why do tragedies like airplane crashes and mine disasters and massive oil spills come as a surprise? Surely out of the thousands and thousands of self-proclaimed psychics, at least one would be able to reliably and consistently give accurate, valid information. Overall, the vast majority of ESP studies can best be characterized as inconclusive. Some studies suggest evidence of some sort of psychic ability, others don’t. Often the effect sizes were statistically significant but very small — not much above random chance. Most of the studies that do show an effect were never able to be replicated. Ironically, if the ESP researchers are right and psychic ability does exist, it seems to be a very weak effect. What’s the point of using psychics if their guesses aren’t much more accurate than the average person’s? Presumably the whole point of ESP is that it should be much more accurate and valid than chance or an informed guess — except that it isn’t. Those who believe in ESP are undeterred by the consistent lack of good evidence, and insist that one day scientists will find hard evidence of psychic abilities. That may be true, but ESP believers said the same thing half a century ago. The X-Men are fiction, but there are thousands of real-life people who claim to have similar powers. But, like Mastermind’s illusions, they seem to disappear when closely examined.